The secret to purpose and passion, I’m convinced, is one simple word: WHY. 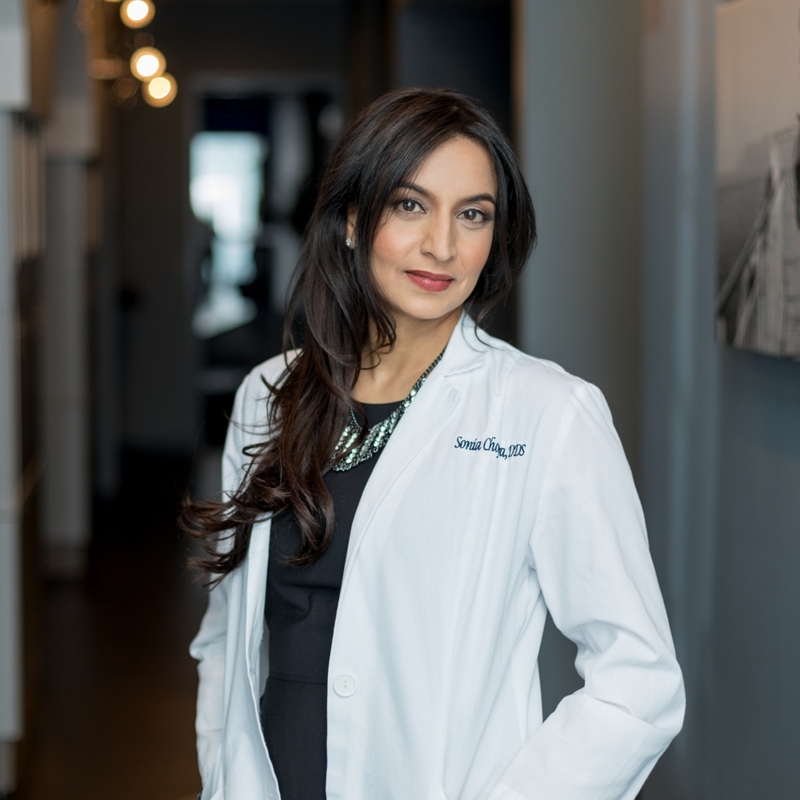 I’m Sonia Chopra, DDS, and I’m passionate about endodontics. WHY? Because the field changed my life. I was born without eight teeth, resulting in steady dental treatments throughout my young life — so I’m no stranger to the dentist’s office. The summer before college I started experiencing intermittent pain in my mouth. My intermittent pain became steady pain, which turned into unbearable, constant pain. I couldn’t think straight, so I wound up right back in the dentist’s chair. Holy smokes, I felt helpless. And then it happened. My face and neck swelled up, and my chin all but disappeared. My fever spiked to 106. The infection (which was not, by the way, all in my head) spiraled out of control. My general dentist referred me to an oral surgeon to extract the offending tooth. The surgeon could sense something was off and asked my mom to reconsider the procedure, but since a root canal was never even presented as an option by my dentist, and my mom couldn’t stand seeing me in pain, she told the surgeon to go ahead. Unfortunately, once the anesthesia wore off, the pain was no less. Which didn’t make any sense, until I discovered the horrifying truth. He had extracted the wrong tooth. Finally, I was referred to an endodontist. Within moments of greeting me, my new endodontist recognized what was wrong. And even in my desperate state, he was patient with me. He explained everything, telling me that I had cracked my tooth, causing bacteria to infect and kill my nerve. As a result, the tooth abscessed. He also explained that he could perform a root canal to save my tooth — no more extractions for me! After so much pain, my root canal seemed like a miracle. My tooth — so badly infected it had turned me into a chipmunk — was pain-free. All thanks to a skillful root canal, and my endodontist’s faith that my tooth could be saved. Inspired by my own experience in the patient’s chair, I became an endodontist who treats patients and saves teeth. Where others call for extraction, I know that many of those teeth have a chance. With knowledge of what it is to be a (misdiagnosed) patient, I’m on a mission to change dentistry for the better. Through this blog and course, I’m providing access to the WHY of endodontics. Featuring case studies and educational resources for both dental professionals and the general public, and demonstrate why saving teeth is so important. Through this work, I help dental professionals be better equipped to serve their patients through the root canals they perform, and together we can raise awareness of the power of root canals for patients. I’m glad you’re here, and invite you to join the community by subscribing to the blog, and learning more about E-School, for Everyday Endo Made Easy.